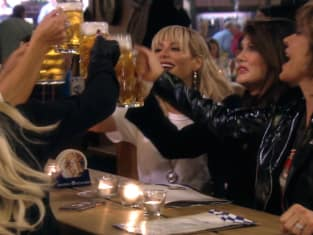 The ladies enjoy themselves during an evening at a Berlin beer hall on The Real Housewives of Beverly Hills. "Holy Schnitzel " is the 16th episode of the show's eighth season. The Real Housewives of Beverly Hills Season 8 Episode 16: "Holy Schnitzel "